The House of Representatives passed a bill for allowing integrated resorts (IR), including casinos, during the plenary session. The ruling coalition intends to extend the current Diet session to ensure the bill is enacted this session. The bill includes stipulations on entrance fees and limits on frequency of entry, and allows for IRs in a maximum of three locations in the country. While there are hopes this bill will benefit the economy, stimulating tourism and creating jobs, there are also calls for measures to be put in place for gambling addiction and maintaining order. 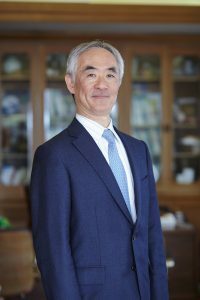 The FPCJ has invited Dr. Ichiro Tanioka, President of the Osaka University of Commerce and a leading casino researcher, to discuss details about how the law will be implemented, including locations for IRs, and what measures will be taken to handle addiction and maintain order.